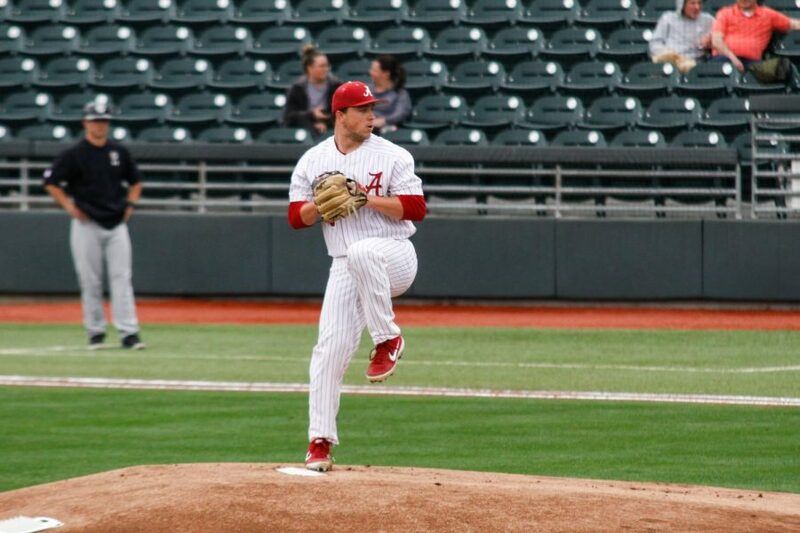 After his shutout performance against Arkansas, senior Sam Finnerty was named SEC Co-Pitcher of the Week by the league office. Finnerty threw just 79 pitches in his first career shutout, striking out five batters. He recorded 18 of the 27 outs with three or less pitches. Only one player reached a three-ball count. From the second inning till the top of the seventh, he retired 16 straight hitters. Finnerty shared the honor with Georgia’s Tony Locey, who allowed just one hit across seven innings against Vanderbilt.